It's comic book industry common sense by now: the release of a monumental 100th issue written by Robert Kirkman is going to make a big splash. With THE WALKING DEAD #100, the result was the highest-selling comic book of 2012. 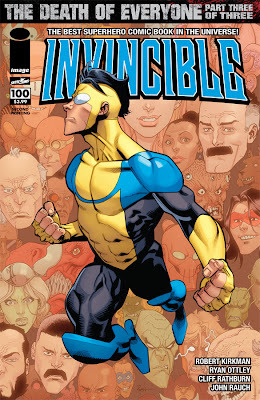 And with INVINCIBLE #100, the result is a sell-out the same day the issue went on sale. 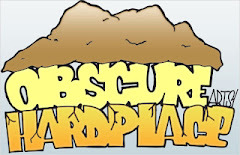 The 100th issue of the beloved superhero series created by Kirkman and artist Cory Walker will receive a second printing (DEC128209), landing in stores on February 27, 2013. INVINCIBLE #100, the hotly-anticipated conclusion of the "The Death of Everyone" story arc, featured covers by series artist Ryan Ottley, Cory Walker, Image Comics partner Marc Silvestri, Bryan Hitch, Art Adams and THE WALKING DEAD artist Charlie Adlard.